* A High Quality Review Site & Squeeze Page! * 10 Page Report Promoting the Miracle Traffic Bot Product! * 7 Day Autoresponder Series Promoting the Miracle Traffic Bot Product! 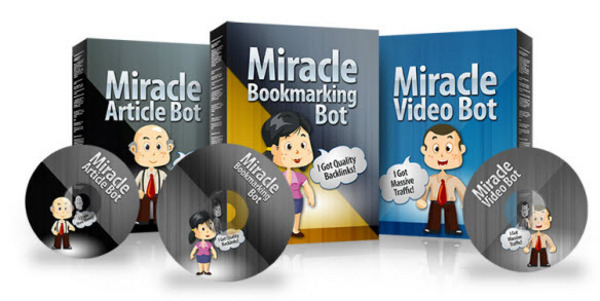 * 5 High Quality Articles Promoting the Miracle Traffic Bot Product!